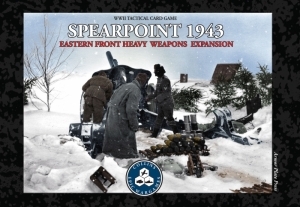 The fourth game in the Spearpoint line is a Heavy Weapons expansion for Spearpoint 1943 Eastern Front. Add an impressive array of new heavy weapons and support equipment to your Reserves Deck with this expansion. Adds 50 new Unit Cards to Spearpoint 1943 Eastern Front - 25 German, 25 Russian. Unit statistics based on years of research yield historically-plausible combat results with every battle. Every Unit Card features a historically-accurate photo. More options for Reserves Deck Construction. Includes additional Crew units for the Heavy Weapons. Fantastic direct rules support from Collins Epic Wargames. 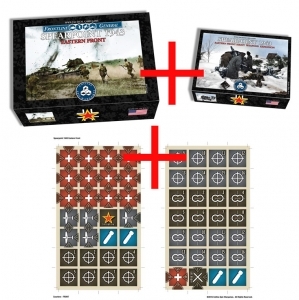 Compatible with all games in the Spearpoint 1943 line. 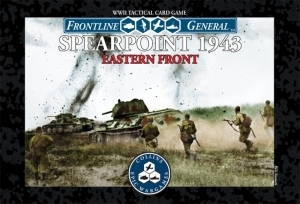 Expands (and requires) Spearpoint 1943 Eastern Front. 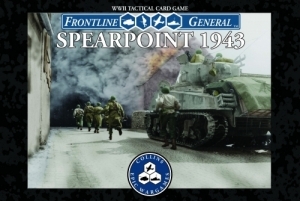 Spearpoint 1943 is a fast-paced squad-level 2-player card wargame that uses Unit Cards, Command Cards, and Damage Cards to simulate plausible WWII frontline combat.